This weekend has been very Halloween themed. 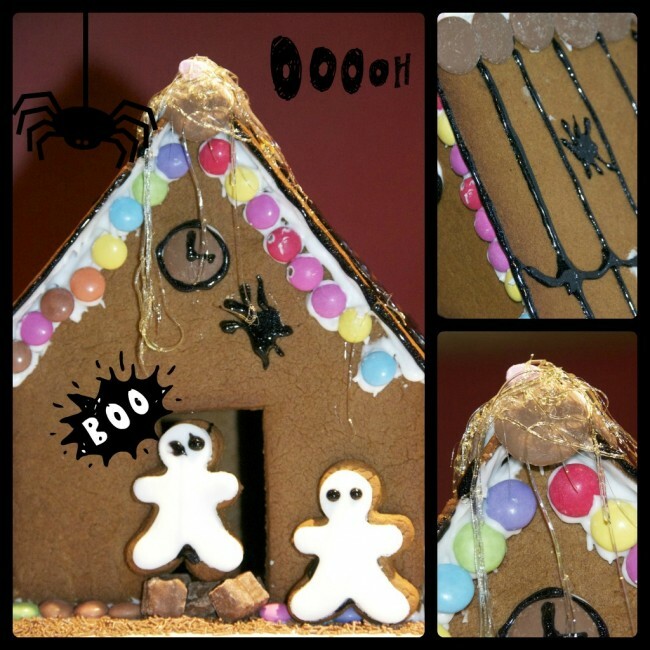 We spent yesterday carving pumpkins and today making a sort of haunted gingerbread house. 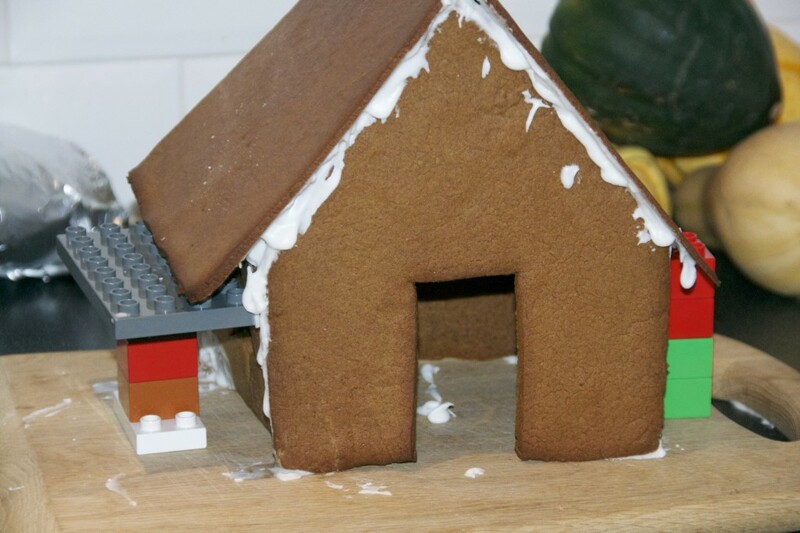 I used a template and gingerbread recipe from the Great British Bake Off book. It was actually much easier than I thought, although we did need DUPLO scaffolding at one point. We experimented with sugar strands for cobwebs, but I’m not sure I like them. I took some pretty photos and then let the kids loose on it. My gingerbread house making is inspired by Helen and Susan, who are both much more talented than I. 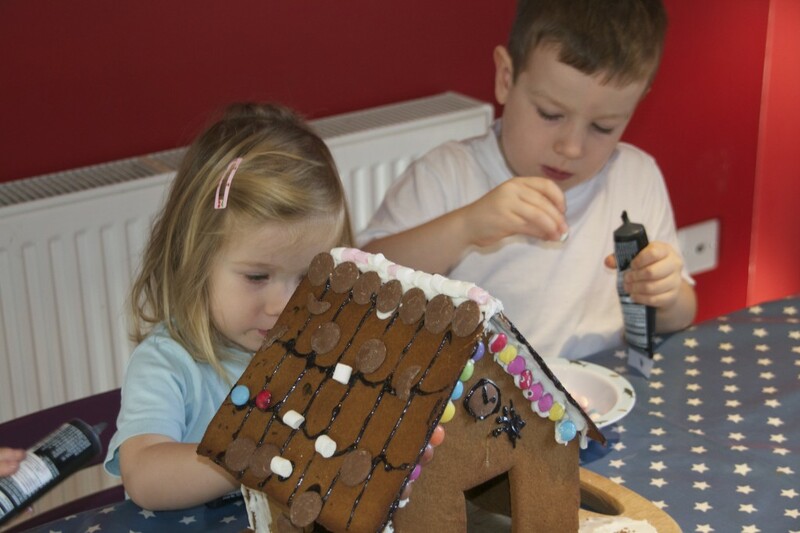 Although I am hoping to give them a run for their money at Christmas! they couldn’t wait any longer! I love that. So tidy. What are those tubes of icing? I need to get some of them – the ones I get are too thick. Where did you get them from? They are Wilton tubes, I got them from Ocado. Success and all in one piece, I might have to borrow the lego idea! Thats Fiona. We all did brilliantly! That is seriously cool, well done you! I am way too fearful to have a go at this! Love the spider webs and spiders!